​ SACRAMENTO (October 1, 2018) – Assembly Bill 1793, a marijuana convictions measure strongly championed by the California Urban Partnership and Youth Forward team, was signed into law last week by Governor Jerry Brown. 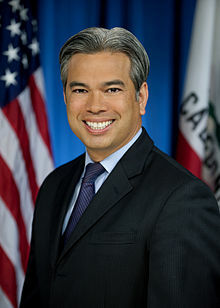 Authored by Assembly Member Rob Bonta, AB 1793 will lead to the automatic resentencing or expungement of past marijuana convictions. This legislation requires the state Department of Justice to identify people eligible for resentencing or expungement of records under Proposition 64, no later than July 2019. By July 2020, local District Attorney’s will be required to have completed a review of those cases. Following July 2020, the courts will be responsible for resentencing or clearing records. “In addition to the Drug Policy Alliance’s sponsorship, this law was also put into place because of the many organizations and people who wrote letters, made phone calls and showed up at the Capitol to make their voices heard. For them, we are even more grateful,” Amen continued. As the California Urban Partnership and Youth Forward team remains involved to monitor implementation of AB 1793, they are also working with Code for America, a nonprofit that is developing an online tool to dramatically speed up the records expungement process. In conjunction with our team’s ongoing Sacramento area talks with District Attorney Anne Marie Schubert – facilitated by local City Councilman Jay Schenirer – Code for America has agreed to partner with Sacramento County in a pilot program to launch in the Fall of 2018. The overall goal is to expunge 250,000 records in California by 2019. To ensure that the Sacramento District Attorney’s participation in the pilot process continues smoothly, the California Urban Partnership and Youth Forward team will continue to rely on the support of local grassroots leaders and activists.